Terry de Gunzburg is the kind of person I admire. She quit a career in medicine to train as a makeup artist, and thanks to her vision and dedication to quality, she has become so successful that she’s regularly called the Steve Jobs of makeup. Sounds odd, except that many of the cosmetics she launched have remained best sellers for decades, such as the famous Touche Éclat, a highlighter-concealer pen she created for Yves Saint Laurent. When she announced a perfume line two years ago, I prepared for fireworks. But the first launch was disappointing, proving that a lot of money doesn’t instantly translate into great perfume. The names of the fragrances, Rêve Opulent, Parti Pris, Lumière d’Epices, Ombre Mercure and Flagrant Délice, were more memorable than the scents themselves. (After I wrote this article, I realized that de Gunzburg now has 12 perfumes in its collection, including the ubiquitous Oud.) The problem is typical of niche brands—the lack of editing. Two subsequent launches, Rose Infernale and Rouge Nocturne, also lack editing—why have two similar oriental roses?—but here, the rose lover in me tells the pedant to be quiet and just enjoy the ride. And I do. Rose Infernale, in particular, is a striking fragrance, and I’m addicted to its dark roses smoked over incense and sandalwood. 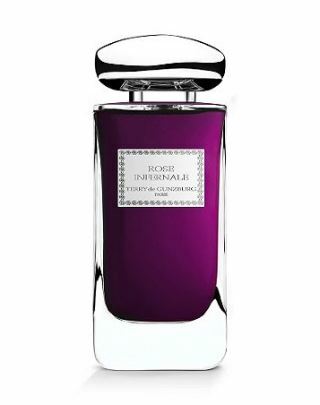 Like everything else in de Gunzburg’s line, Rose Infernale smells expensive. “I smell crisp dollar bills,” commented a perfumer colleague, a typical wry—and slightly envious–remark on any perfume project with a big budget. I could drink the rose essence she uses; it’s lush, buttery, with a thick honeyed texture. The moment you apply Rose Infernale, you notice its bold accent. On the other hand, Rose Infernale is so layered in dark notes that you would be disappointed if you came to it looking for sweet summertime roses. The perfume smells peppery and smoky, and as the rose grows bigger and mixes with the earthy roots (vetiver) and burning incense, it becomes edgier. Men can wear Rose Infernale easily. 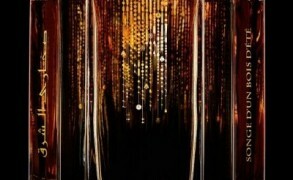 The drydown arrives late—the perfume is very long lasting, and it’s the part I love the most. 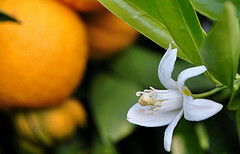 The brighter citrusy-peppery notes are gone, the rose has lost some of its gloss, but it still smells complex and rich. No, it’s not a rose corsage or a summer garden rose. It’s a rose garland given as an offering at an Indian temple. It’s wilting in the cloud of incense and is slicked with sandalwood paste. Maybe it’s much too rich and heavy, but it’s evocative, and I can’t get enough of it. My infatuation with Rose Infernale is not surprising, since I already love voluptuous roses from Arabian Tales like Serge Lutens Santal Majuscule and La Fille de Berlin, Frédéric Malle Portrait of a Lady, and Guerlain Nahéma. Yves Rocher Rose Absolute and Caron Parfum Sacré are also sultry and get a bonus point for their affordable price. If you have your favorite dark opulent roses, please add them to my list. Chilloften: It sounds inticing and I’d love to try it. Of ALL the perfumes I have, there is no rose. Danaki: I totally agree…this is smells of money, allegorically speaking of course. It sometimes smells like a richer, more grown-up Marni, at the start. The dry down is very different though. Victoria: Your list has so many interesting selections. Paestum Rose is such a good dark rose, and I love Cafe Rose (but the price per ml is too high). Karen: JM’s Velvet Rose and Oud is worth trying, I didn’t expect to love it but fell head over heels for it. Karen: Hmmm, I just sprayed some on and wish I still had some of Killian’s sample left to compare it with. Today (already warm and humid),a few minutes after applying I’d say the Oud is more prevalent – but it’s a “prettied” Oud, not a down-and-dirty earthy Oud that is probably closer to real Oud. (I commented on FM’s Oud that is definitely not geared for a Western market). But, I know the other evening when I had put some on, the Rose was initially more apparent. So, not sure why the variety – skin chemistry? weather? Hannah: Sometimes I’m not sure what people mean by dark roses. I don’t find La Fille de Berlin to be dark (and I irrationally hate it because of its name). Agent Provocateur’s rose is very loukoum-y to me, but I suppose it is a “dark rose” because everything else is dark and it is a rose? I don’t see these around very often and when I do, I forget which ones I wanted to try. This sounds interesting, though, so I’ll give it a try if I see the line and can remember. So far the only rose I can see myself wearing is Eau de Protection. Victoria: Dark rose is a rose with oriental notes or spicy notes. Anything that deepens or warms up the flower. For instance, Perfumers Workshop Tea Rose is the opposite of a dark rose. It’s fresh and sparkling. Eau de Protection is one of my favorites. limegreen: What a great read and review, Victoria, thank you. I was sent a sample of Rose Infernale (with a perfume purchase) and knew nothing about the line. It was a beautiful fragrance but at the time I was in love with Une Rose (still am) and irrationally felt “full” with my rose wardrobe, dark or otherwise. Kind of like having had too much chocolate during the holidays and the sight of more chocolate feels like overkill. Irrational, but nothing about this perfume “hobby” is rational! Joy: Thank you, Victoria for the review of Rose Infernale. It sounds so interesting. I really need to expand my use of rose fragrance, so I especially enjoyed the discussion and suggestions today. I have PTOL in a sample and am not certain about it yet. I do enjoy EL’s Knowing and use it for a lot of things other than just spraying it on myself. I spray it in warm bathwater, put a couple of sprays in unscented hair conditioner, etc. It is so moderately priced, I feel that I can use it freely. AndreaR: I just had a chance to sample this in, of all places, Spoleto, Italy at the charming Profumeira, Mariangelo. I happened on this store by chance and spent time sampling and testing. The lovely lady who helped me spoke no English and I don’t speak Italian, but we communicated nicely via fragrance. Lora: Thank you for another great review, Victoria! Lora: I received a sample of RI yesterday-yeah! It closely compares to Paestum Rose by Eau D’Italie. The longevity and sillage of PR was poor on me so I’m hopeful that RI will be an improvement. Somehow I think PR is slightly (I mean a touch) more towards the masculine side, though they both seem unisex to me. The incense seems equally noticeable. The price is higher with RI though, so further testing is needed. Emma: Everytime you claim men can wear fragrances you’re reviewing, it’s a big turn off for me, I don’t want unisex stuff, sick and tired of it, I want to have femme perfume fun, and it can be dark of course. Gentiana: Thanks to your review, I am now very courious to smell Rose Infernale.